Modern society is understandably concerned with appearance. A lot of the concern about the way one looks stems from the fact that now more than ever a person’s image can be captured and transmitted around the world in a matter of seconds. Just about everyone has a cell phone, and their cell phones have high quality cameras. From their cell phone they can upload pictures of their friends or people they randomly meet to social media outlets that allow them to transmit those pictures around the world in an instant. Interestingly, this concern about appearance is not something that solely affects women, but it also affects men. Society is starting to see a shift where men have gone from not being overly concerned about their appearance to being very concerned about grooming, moisturizing, and how the way they look is perceived by others. One of the reasons why this is becoming more important is because the business world is becoming even more competitive. Men who are in their 40’s and 50’s find themselves competing against men and women who are a lot younger than they are for the same job. These younger men and women are stylish, they’re attractive, and they’re smart. So in order to even out the playing field as it were many middle-aged men are taking steps to change their grooming and beauty routine to make themselves more attractive. Part of this is including the use of a hyaluronic acid cream in their beauty routine. 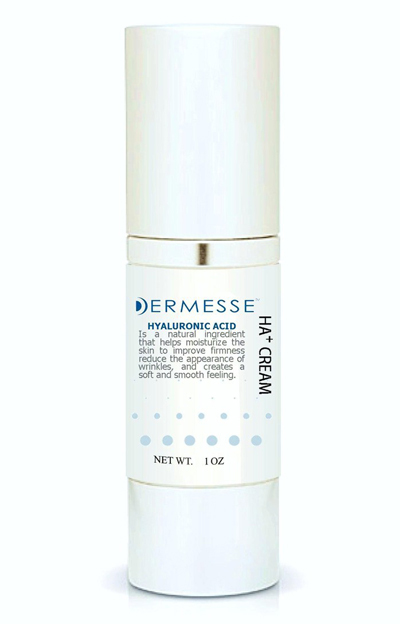 Hyaluronic acid is a natural compound that is found in the body. It has a lot to do with the moisture that is in the skin and the flexibility and elasticity of the skin. When a person is young, they have an ample amount of hyaluronic acid, and that is what gives them that youthful glow. Unfortunately, as a person ages, the amount of hyaluronic acid they have begins to wane. As a result, their face loses volume, they start to look hollow, they look older, and their skin begins to wrinkle. Hyaluronic acid topical creams can reverse some of these aging effects, giving a person smoother skin. It can also be used to address skin problems like acne, sun damage, and pigmentation issues. As long as modern society is obsessed with appearance, it is likely that more will be done to meet the demand of a public who wants to look as young as they can for as long as they can.